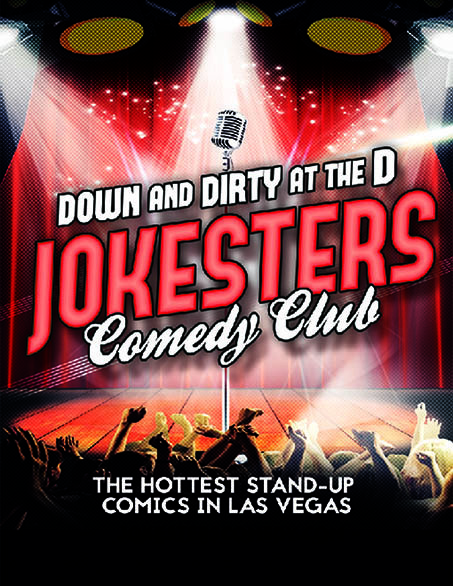 Jokesters Comedy Club is getting down and dirty at the D Las Vegas in fabulous downtown Vegas. With performances 7 nights per week, Jokesters Comedy Club presents the hottest comics in Las Vegas. This show is not for the easily offended. It’s racy, raunchy, and Definitely Dirty! The doors open at 10 pm for a one of a kind pre-party filled with music, drink specials, games, and giveaways. The laughs start at 10:30 pm and the 75-minute show is a non-stop riot! Vegas4Locals discount price $24.27 (inclusive of taxes & fees), save $16.33! Vegas4Locals discount price $30.72 (inclusive of taxes & fees), save $21.78! * Extras include upgraded priority seating. 10:00 pm 7 nights a week.